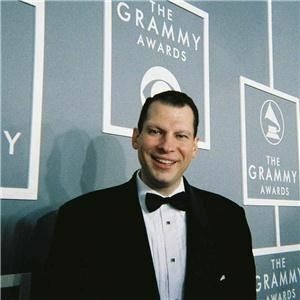 Let acclaimed Chicago singing sensation Peter Oprisko customize a live music ensemble for your event. Whether you need a DUO or TRIO or QUARTET to provide ambient music for a corporate dinner function or a QUINTET to BIG BAND to keep the dance floor filled at a wedding reception, Peter has the skill, talent and expertise to create the perfect live music or live music/DJ combo package for you! Averaging 300+ events annually for a wide variety of clients(including the Chicago White Sox, MGM resorts & Casinos, and many others), Peter prides himself on being able to work closely with his clients to deliver the highest quality musical presentation within your unique spatial, time, and budgetary specifications. Indeed, Peter's meticlous attention to detail and ability to communicate with his clients enables him to provide first-class customer service and a specially-tailored, engaging music package that will keep you and your guests raving! 3000+ satisfied clients during the past 10 years can't be wrong, so contact Peter to get your customized quote today! People who have seen Electro Retro Band describe it as a breath of fresh air and not your ordinary cover band. Electro Retro focuses on ensuring the crowd has fun though interaction, authentic live feel and energy, and does not use prerecorded vocal or music tracks. This gives attendees an authentic live experience. The band is available to perform throughout the United States of America and is based in the Chicago Metro area. Band members all have music as their careers, all teach music and have performed for crowds of over 30,000 attendees at Venues including The House of Blues, Navy Pier, several Casinos, and prestigious local events including Taste of Chicago, Tickled Pink, Rib Fest and many others. Recent fan reviews indicate "Awesome cover band playing lot of favorites from 1970's though today."